The Browns played the Cleveland Naps (today’s Indians). They split the double-header. But, let’s back up a sec. 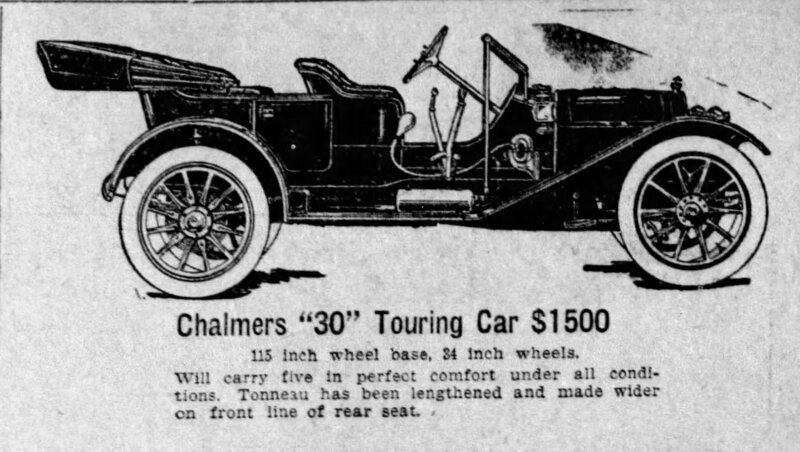 That April, the Chalmers Automobile Company said they would award a Chalmers “30” to the player who ended the season with the highest batting average. A new car was a big deal and baseball fans knew early on who would likely end up battling for it – Detroit’s Ty Cobb and Cleveland’s Napoleon Lajoie. In 1910, there were about 500,000 automobiles in the country – most of them running willy-nilly on unpaved rutted sorta-roads carved out, poorly, by horses and wagons. There was no asphalt. And, importantly, no center lines to direct drivers to their side of the road (center lines were introduced in 1911, which we covered earlier this season here). Cobb and Lajoie were, at $9,000 each, the highest-paid players in baseball. A car – called a “buzz wagon” by hipsters back then – was a big deal luxury for most people. (Most people made less than $1,000 a year in 1910.) But it wasn’t that big a deal for these guys. Cobb or Lajoie could have gone out and bought one themselves if they wanted. Cars were rare in those days, but they weren’t that rare. Plus, you know they wouldn’t pay full price. Having two of the best ballplayers driving your cars around town? You can’t buy that kind of advertising. But, a free car’s a free car. And, the Lajoie-Cobb batting competition became one of the season’s biggest stories. In late summer, Cobb sat out a few games with an eye infection and reporters speculated he was protecting his batting average. Then, during the last games of the season, Cobb sat again. Bad eye again, he said. But, he was also sitting on a league-leading .383 batting average. Lajoie trailed at .378 when the Naps pulled in to play that double-header against those really bad Browns. These were otherwise meaningless games. Detroit ended 18 games back of league-leading Philadelphia. The Naps were 32 games back and those sorry Browns were 57 games back. But, they weren’t meaningless to Cobb and Lajoie. So, maybe Cobb did sit to preserve his average. Who knows? Lajoie would have to be nearly perfect at the plate that day to beat Cobb. He went 8-for-8. That’s good, right? So, it was peculiar that Browns’ third baseman Red Corriden was positioned near the outfield grass and far from the infield whenever the league’s “premier bunter” came to bat. Lajoie tripled in his first at-bat. But, the next time up he bunted for a hit. And, he bunted again. And, again. And, again. Why not? The Browns’ third baseman was practically in the outfield. So, Lajoie just kept bunting. Only one at-bat was not a hit – a bunt that was ruled a sacrifice and error on the Browns’ shortstop. Lajoie’s 8-for-8 day put him ahead of Cobb. Hooray, Napoleon Lajoie, You Win! Here are the keys to your brand new car! First, no keys. They wouldn’t be used in autos until 1949. I mean, sure, the Browns were bad. But, that bad? Yeh, it smelled fishy then, too. “The action of Corriden at third is susceptible of two explanations. He is either the worst third baseman in the world or he was party to a conspiracy to aid Lajoie.” — The St. Louis Post Dispatch. 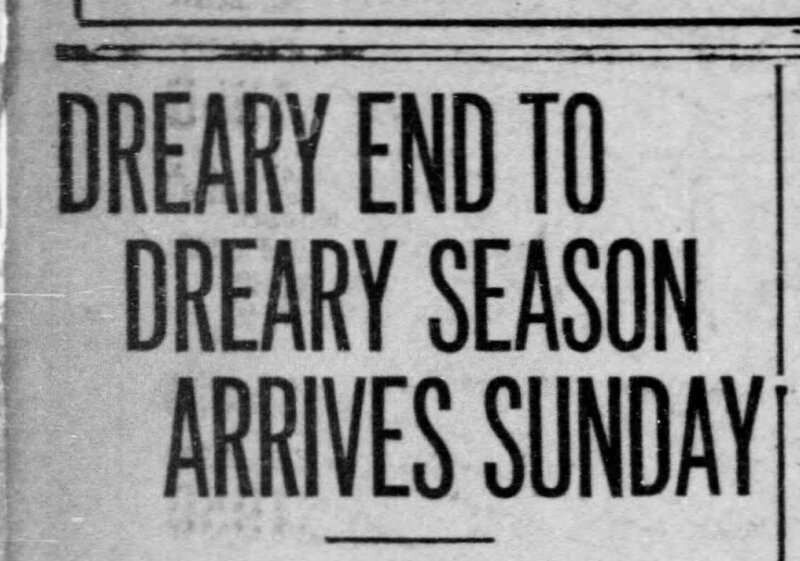 10/10/1910. He Won (?) The St. Louis Star & Times wasn’t so sure. “Can’t you stretch it a point and make it a hit?” Howell reportedly asked. “I could, but I won’t,” Parrish responded. A few minutes later, a batboy delivered a letter to Parrish that offered him “an order for a $40 suit of clothes,” if he would make the at-bat a hit. 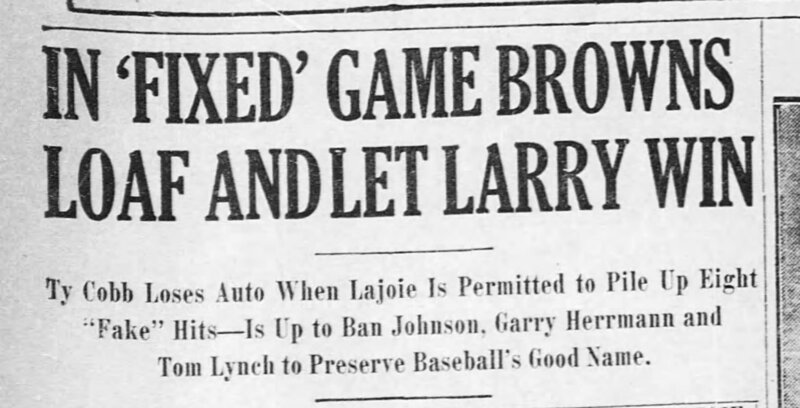 Parrish reported that Lajoie himself called that evening to ask about the scoring, although Lajoie said he was only checking his stats, not requesting a change. No one much liked Cobb, so it seemed in the bag that everyone wanted to help Lajoie. 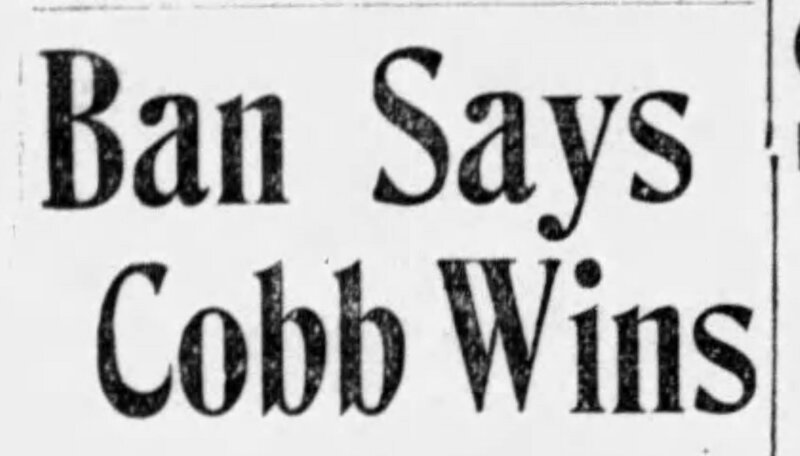 It’s said that several of Cobb’s own teammates wired Lajoie to congratulate him after that day’s games. AL President Ban Johnson investigated and quickly determined that there was no funny business in St. Louis. Really? But, after tossing around the numbers, he came up with brand new numbers: Cobb .385. Lajoie .384. Wait, what? So Cobb won now? Chalmers knew. 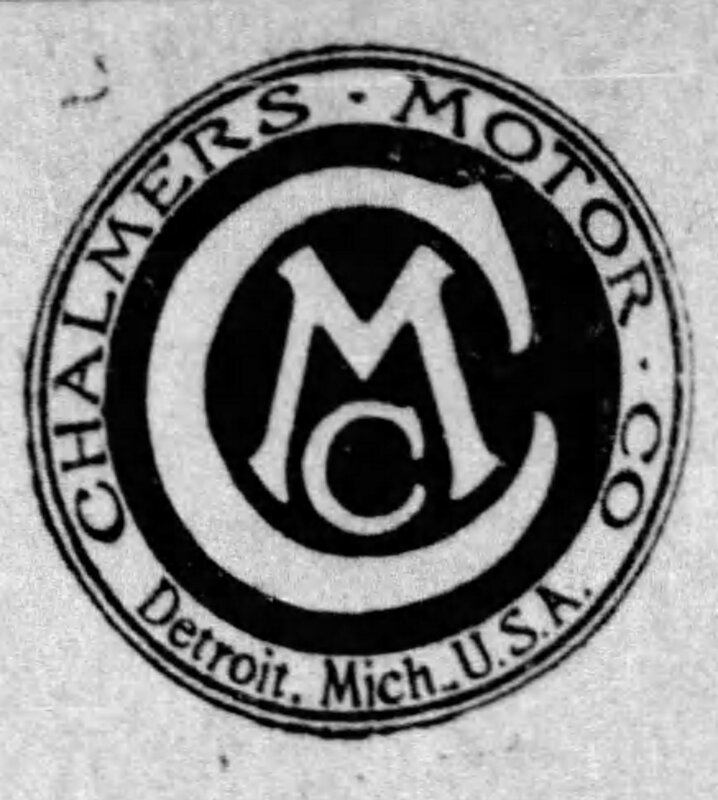 Chalmers did what Chalmers knew was best for business. You can see Cobb and Lajoie in their Chalmers here. This isn’t about Cobb and Lajoie anyway. It’s about the Browns. And, how terrible they were in 1910. 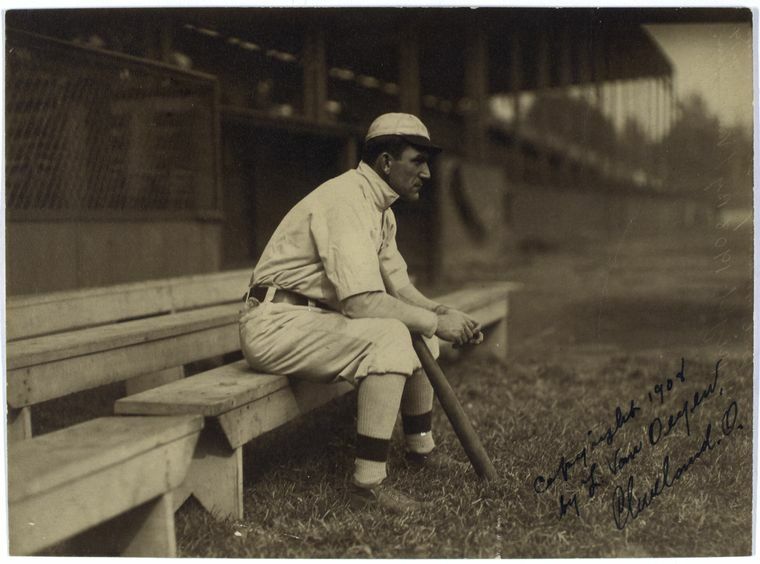 A few days after the double-header, Browns’ manager Jack O’Connor, who, it was said, always had it in for Cobb, and scout Harry Howell were fired. They were innocent of wrongdoing, the Browns’ owner said, but, I’m firing them anyway. You know, for the good of the game and all. The 1911 Browns, under new manager Bobby Wallace, weren’t much better. They went 52-100. 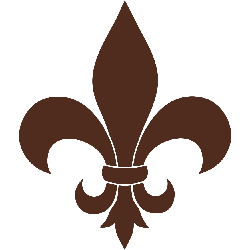 In all, between 1902 and 1953, the St. Louis Browns lost 100 or more games eight times, and finished last in the AL 10 times. So, it’s not a proud tradition, O’s fans, but it is a tradition. And, you know how much baseball loves its traditions. Just seven games left in this stinkball of a season. This entry was posted in Baltimore Orioles, Baseball, Baseball History and tagged Baltimore Orioles, Cleveland Indians, Napoleon Lajoie, St. Louis Browns, Ty Cobb by Jackie, The Baseball Bloggess. Bookmark the permalink. Scandal! And at the end of a season…yes the end of a season does produce some crazy stuff! Cheers to the pennant races! My question is: if Cobb was not a likeable character, why do most people know his name while Lajoie is essentially unknown these days? Thanks for filling us in on this almost humorous scandal and the not-so-humorous tradition. Lajoie was a great player, too. One of the greatest. Perhaps, not Cobb-great, but certainly someone whose name should be known by baseball fans today. And, you’re right, it’s a shame that he isn’t as recognized as Cobb. Just remember … Cleveland called their team the Naps in Lajoie’s honor. Detroit Cobbs? Never. Hi there, Jackie. I spent much my youth on Long Island. I was both a Mets and Yankees fan. The Mets’ first season was in 1962. They were stocked with cast offs and old guys from other teams, because that’s how expansion teams got their player personnel. Anyway, they won 40 and lost 160 that year, the worst record ever. Amazingly, only seven years later they won the World Series! Have a fine upcoming week. That 1969 Mets World Series was at the expense of the heavily favored Orioles. I was a little kid in California at the time and my mom, who always rooted for underdogs, convinced me that we would cheer for the underdog Mets. I still feel bad about that. Oh Bloggess, this column is especially timely for me today. Several points. The O’s actually (I’m sure you know) beat the Yankees today. 👍🏻🤗 I saw that picture of Cobb in his car on Friday (@ HOF) but your research gave me “the REST of the story”. Thank-you! I drive a 2006 Scion. As I noted yesterday, Schoopy was less than stellar as the Pirates shut out the Brewers in a crisply played game (one in which Ryan Braun had a lovely bunt for a hit 🙀) His (Schoop’s) 0 for 3 allowed him a wonderful dugout seat for today’s exhibition, in which the Pirates apparently decided that they, too, could measure down to the Browns/O’s. Bad pitching put Pittsburgh down early, followed by Josh Harrison and Jody Mercer driving in 4 runs with doubles in the same inning. Their reward? In the 8th they were both replaced with ceremonial substitutions- unofficially it’s thought they’ve both played their last games in Pittsburgh. At that time it was 13-4 Brewers. 🤔 The signature event of this game was this: Pirates pitcher Feliz (ironically “Happy” in español) threw a wild pitch which resulted in 3 (no typo) runs scoring. 😳 My new 80+yr old friends Carmine and Francis acknowledged that they neither had seen this before in their many years as season ticket holders. The game ended 13-6 on Fan Appreciation Weekend. Can’t make this stuff up! BTW, PNC is a lovely ballpark and the 7th inning stretch featured tossing memorabilia from the rafters by among others, Steve Blass AND the season finale of the racing series of costumes minions (a la Nats, Brewers, etc. ). In this instance it wasn’t Presidents or Sausages, but… Pierogis!! I love those Racing Pierogis! And, yikes, three runs on a wild pitch. That sounds like something the Orioles would do. The Boston Mookies… has a nice ring to it! I know … they should thank me for that brilliant suggestion. Glad to see you haven’t lost your sense of humor in this dismal season. Enjoyed the story.